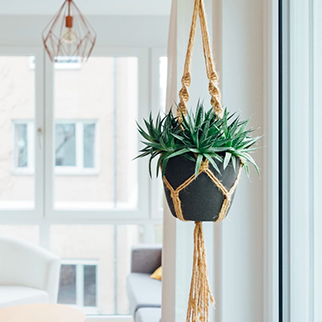 People who love gardening but live in a condo or an apartment find it hard to pursue their interest. 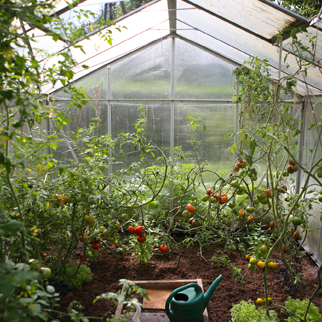 Lack of space is a great constraint for anyone looking for an create their own home garden. That’s when you realize how wonderful balcony gardens can be. This new and innovative concept gives aspiring gardeners a ray of hope. Before setting up a balcony garden, there are two principal factors to consider. The first one is the budget which in turn will decide the decor and furniture. The second factor is sunlight reception in the space where you want to set up that balcony. Select plants according to the amount of sunlight your balcony receives. . The sizes may vary, but any balcony garden needs tremendous planning. Followings are a few pointers to cut down on time you will spend on planning. Simple and rustic is what best describes this style. Cozy lighting, wood elements and proper utilization of vertical space with flower boxes from wood scraps. This design only uses the wall. The balcony floor remains untouched, saving valuable floor space and making it look bigger than it already is. It also leaves ample space to add chairs and tables if you want to. For some warm glow, place tealight candles in corners. Balcony gardens can be a great option for foodies to grow a wide variety of vegetables and herbs. 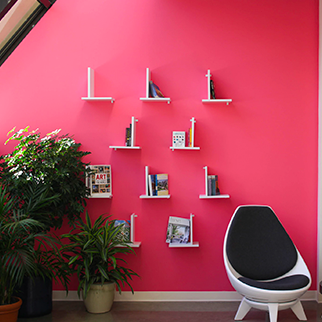 This vertical garden design too allows enough floor space. When planning a vertical kitchen garden, it is crucial to drill holes in the bottom of each level to allow water to pass through. This step keeps the plants safe and helps the wood last longer. Using a wooden pallet and chalkboard to mark the herbs is a simple way to decorate small plants. Instead of scattering large pots all over the balcony, gathering the plants in a small area can create an interesting display. Pot sizes and heights of the plant can be played around with to add dimension. 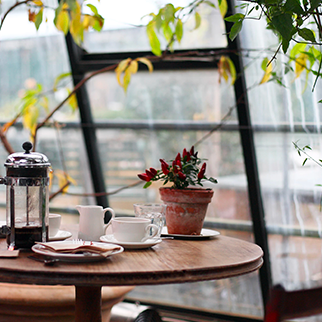 A wrought iron table along with a few chairs can create a great seating arrangement for a cup of coffee. Wrought iron furniture is easy to transform. One coat of paint can change the entire look of the furniture. Arrange a few herbs on the table like lavender, mint or thyme along with your favorite magazines to make it a lounging spot. Hanging gardens can be a great way to free up some space and create an area for other things . Hanging baskets of various shapes and colours and texture can brighten up the overall look of the balcony. Strawberries, lettuce, spinach, and most varieties of herbs grow well in hanging pots. Positioning the baskets at an appropriate height is important, otherwise watering and maintaining the plants will be difficult.